Hope everyone had a lovely Christmas - ours was quiet but it was great to spend it with the family. Last year seemed to go by so quickly, it's hard to believe 2014 is here! 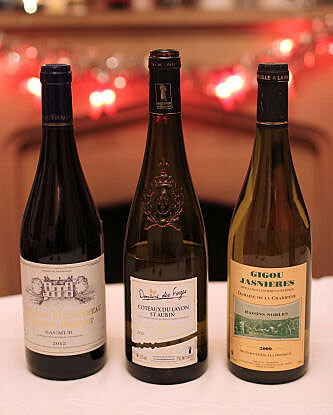 Over the festive period, I was sent 3 Loire valley wines to try. 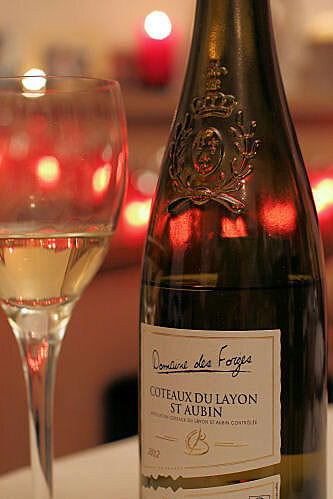 We started with a sweet white wine from Côteaux du Layon Saint-Aubin, 2012, produced by Domaine des Forges and his son Stéphane Branchereau. This was a fabulous wine and my favourite of the three. It had an enticing fruity smell and was one of those wines you could drink just on its own, although it would be perfect with something sweet and went really well with our raspberry shortcake. 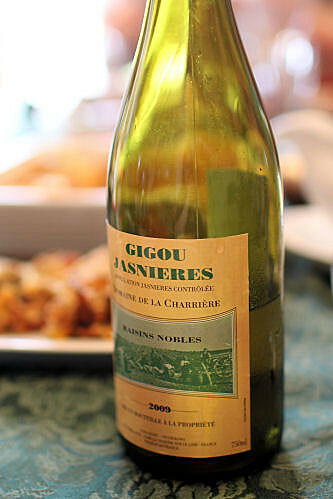 Next up was another sweet white wine Raisins Nobles, 2009, produced by Joël Gigou in the La Chartre-sur-le-Loire area. Everyone was oohing and aaahing over this one! 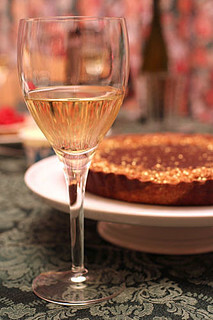 We drank it with a triple chocolate praline tart, and then finished it off with a cheese platter later on in the evening. 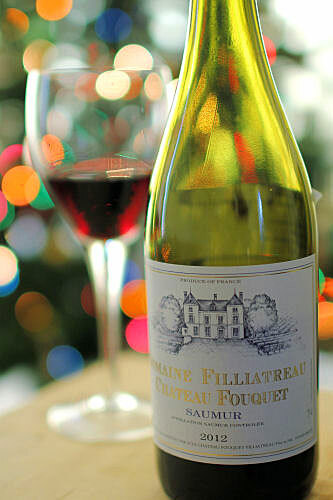 Our last Loire wine was a light red Domaine Filliatreau, Château Fouquet, 2012 from the Saumur area. Maybe we were just unlucky with this bottle as I noticed that the cork had partly disintegrated into the wine, but I'm sorry to say that it wasn't really to my liking, finding it a bit musty with a strange aftertaste. 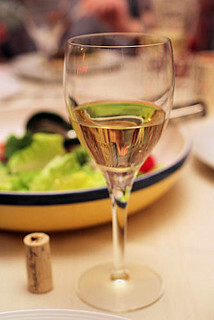 Disclosure: I was sent three bottles of Loire French wines to try over the Christmas period, all views are my own. Please drink responsibly, visit Drinkaware for more information. This content belongs to Nic at Cherrapeno. All writing and photography copyright N Fowers © 2007-2014 unless otherwise indicated. All rights reserved. Our Christmas was quiet as well, and I liked it. Happy New Year Nic, and enjoy your wines!